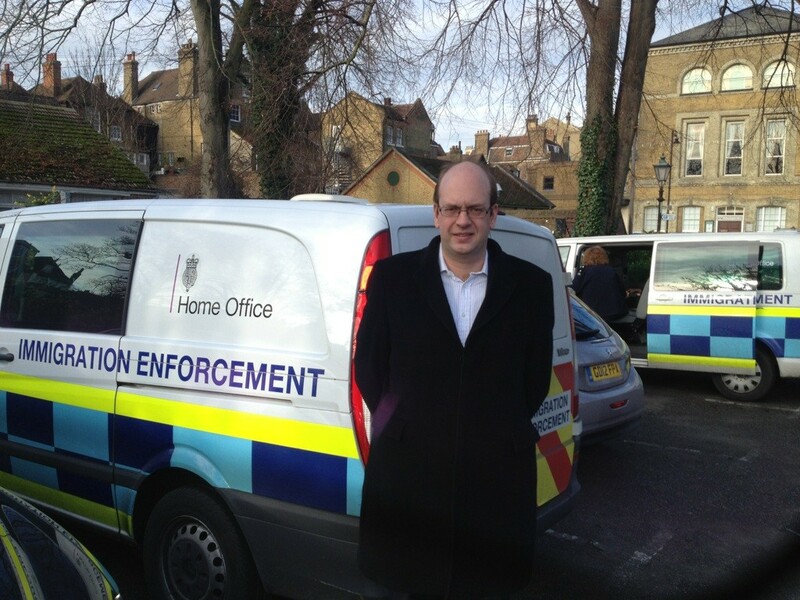 Mark Reckless MP was honoured to meet officers of the Home Office’s immigration enforcement team while in Rochester. The officers, based in Folkestone and working across the South East, took time out of their busy schedule to discuss their duties with UKIP MP Mark Reckless following an impromptu visit to Rochester’s Register Office. Immigration enforcement officers play a major role defending our borders, tackling illegal immigration and human trafficking. Mark was delighted to have the opportunity to meet officers and hear their views on the pressures which they face in this hugely important role. “If we are to succeed in getting immigration down to manageable levels, it is vital that we not only take back control of our borders by leaving the EU but that we listen to and support our officers who are working hard on the front line. I was therefore delighted to have the opportunity to hear the views of enforcement officers first hand. It is clear that more must be done. David Cameron promised to cut immigration from the hundreds of thousands to the tens of thousands. He failed. Ministers really should spend more time meeting with and listening to the officers who are leading the fight and who understand the complexity of the problem, as opposed to special advisors and mandarins in Whitehall who tell them what they think they need to hear. This entry was posted in Immigration and tagged conservatives, human-rights, Immigration, Kent, mark reckless, Medway, rochester and strood, UKIP. Bookmark the permalink. Well we certainly will have plenty of work for them to do Mark, things have been for to lax for to long, with far to many excuses. We certainly don’t believe much any of the parties in power have said and that is why UKIP is becoming so strong, people will become engaged again if what is said is carried out by the people who promise so much then don’t deliver but instead make excuses and the people will I’m afraid not put up with it for much longer. Good luck in May, and forward the peoples army.